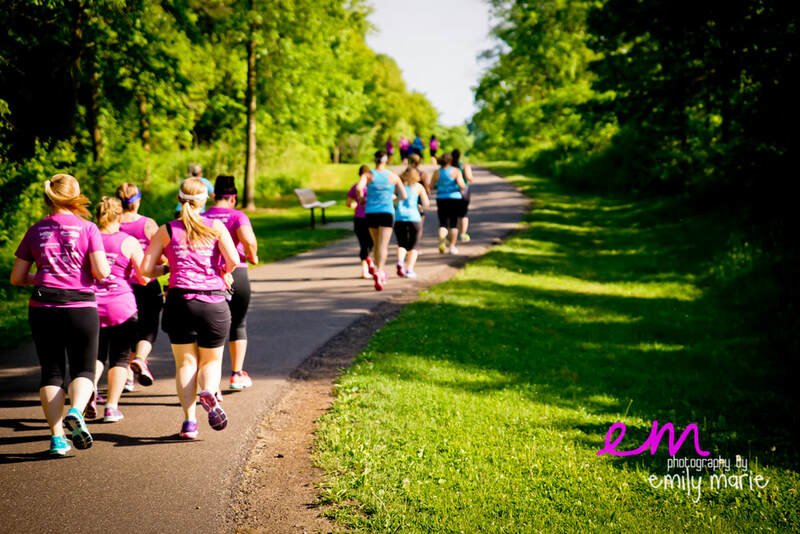 Moms on the Run began in 2008 in Forest Lake, Minnesota, when a group of moms meeting to exercise in a local park decided they needed a new goal to spice up their post-baby fitness journey: a 5K race! With a B.S. in Exercise Science, love for running and multiple fitness certifications, founder and CEO Karissa Johnson designed the program’s trademark “learn to run” curriculum. A variety of training programs for all levels quickly followed, and Moms on the Run was born! Karissa knew the challenges of fitting in fitness all too well, having had three babies in four years and watching her own exercise program go by the wayside. Since beginning to franchise in 2012, Moms on the Run has grown rapidly to 46 locations in six states and has served more than 4,000 customers. The program’s support system of coach and team community has been life-changing for many customers who say, “I couldn’t run around the block!” and are now running 5Ks, 10Ks, half marathons and more! Today, we continue working to spread Moms on the Run to women across the country, helping them lead healthier lives and model active lifestyles. We strive to inspire the next generation of healthy families!